Preacher Man | I am 20-year veteran of the USAF. I have lived all over the world and seen various cultures. Following my retirement from the USAF I completed my Bachelor of Theology and did some graduate work. I am an ordained minister of the gospel and in that capacity I have been evanglist, missionary and pastor. Now retired, I remain active in my local church. My wife and I have six children, 20 grandchildren and are expecting our ninth great-grandchild. I am 20-year veteran of the USAF. I have lived all over the world and seen various cultures. Following my retirement from the USAF I completed my Bachelor of Theology and did some graduate work. I am an ordained minister of the gospel and in that capacity I have been evanglist, missionary and pastor. Now retired, I remain active in my local church. My wife and I have six children, 20 grandchildren and are expecting our ninth great-grandchild. Much is said of the miracles in Jesus’ earthly ministry. They got people’s attention and they followed Him. They drew the crowds to Him and then He was able to teach them. They pointed to other things in their lives, their spiritual walk with God. Some people still are seeking a sign. Some ask why there are not more miracles today. There are still miracles today but the greatest miracle of all is when He saved you. John 3:7 says, You must be born again. To the two disciples on their way to Emmaus following the resurrection. This story is told in Luke 24:13-15. Now behold, two of them were traveling that same day to a village called Emmaus, which was seven miles from Jerusalem. And they talked together of all these things which had happened. So it was, while they conversed and reasoned, that Jesus Himself drew near and went with them. To the disciples fishing on the lake following the resurrection. TO ME, TO YOU WHEN WE NEEDED A SAVIOR. About midnight, as Paul and Silas were praying and singing hymns of praise to God, and the (other) prisoners were listening to them, suddenly there was a great earthquake, so that the very foundations of the prison were shaken; and at once all the doors were opened and everyone’s shackles were unfastened. Then (the jailer) called for lights and rushed in, and trembling and terrified he fell down before Paul and Silas. And he brought them out (of the dungeon) and said, “Men, what is it necessary for me to do that I may be saved?” And they answered, “Believe in the Lord Jesus Christ (give yourself up to Him, take yourself out of your own keeping and entrust yourself into his keeping) and you will be saved, (and this applies to both (you and your household as well. He rejoiced. He believed in God. He rejoiced. All his household believed in God. He rejoiced. His sins were gone. He rejoiced. No more condemnation. He rejoiced. His family was saved. He rejoiced. His name was written down in the Lamb’s Book of Life. He rejoiced. There was a change in His life. He rejoiced. There was a change in the lives of his family members. He rejoiced. He opened His heart to receive the Word of God. He rejoiced. He received peace everlasting. He rejoiced. Peace had come to him. He rejoiced. Peace had come to his family. He rejoiced. Peace had come to his home. He rejoiced. He had no more guilt. He rejoiced. He had no more sadness. He rejoiced. He had no more sorrowing for wrong doing. He rejoiced. He followed in obedience and was baptized. Let us rejoice. Our lives are changed. Let us rejoice. Our hearts are made anew. Let us rejoice. Our attitudes have been reprogrammed. Let us rejoice. Our occupation is different. Let us rejoice. Our walk is different. Let us rejoice. Our names are written down in the Lamb’s Book of Life. Let us rejoice. We are different. Let us rejoice. There has been a change. Let us rejoice. Let us rejoice. Let us rejoice. Do you think there is a connection? The Gospel of John tells us Jesus story of Lazarus resurrection from the dead. And Jesus wept. Why? Because of the people’s unbelief. Then in Paul’s writings, we are told to “Rejoice Always.” Why? It is the Christian’s way of life. We rejoice because of the resurrection. We believe! It happened! He rose from the dead. Christ’s resurrection is true. And because He lives we live also. In the fourth verse Paul states that He praises God that the Christians at Corinth are in Christ Jesus, they are saved and walking on the right path. Wow, what a great testimony of a church of believers! In verse five Paul is blessed that the church is set apart or enriched in all utterance and knowledge of the word. Their understanding and testimony in obeying the word is here confirmed. In verse six the testimony of Christ is confirmed in them. All the ministry gifts are in operation in this church and none are lacking. There are ample gifts to go around to all in the church. There is a work for all and here, all are working. God’s confirmation of you is definite. It is a sure thing. It is obvious to those looking on and that is as it should be. God is faithful and in your calling you have been faithful. Continue to be faithful. In Verses 10-19 the unity of the body is again emphasized. The ministry gifts cannot operate without that unity. What then is faithfulness? What would you consider faithfulness? What margin of error would you allow? If your automobile worked 50% of the time, would you consider it faithful? If your spouse was faithful 75% of the time, would you consider them faithful? If your children only loved you when they needed something, how would you feel? If you only received a pay check or your retirement check half of the time, how would you feel? Would you keep working or would you be on the phone questioning someone about the missed check? What about your church? If the doctrine or teachings of our church made a dramatic change from week to week, flip-flopping with the changing wind, would the church be faithful to the Word of God and to you? What is faithfulness? I am so glad you asked! Noah’s day – not much different as today. People of the day were disobedient, seeking their own way. They were unfaithful. The children of Israel (God’s chosen people) again and again turned away from God. Is there anything too hard for the Lord? I am the Lord thy God, I change not. Do you waffle on your devotion/service to God? There is no variableness, no shadow of turning. “great is Thy faithfulness. What part of “Thou Shalt Not” did you not understand? God’s love is everlasting. He is not willing that any should perish. Yet, by our sin, we separate ourselves from God. You say I trust in God. What is your basis for trust/ Will your faithfulness stand the test? You know that God will meet your needs, answer your prayers, keep you from harm, heal your body, all because of His past record of faithfulness. What of your faithfulness to Him? Let me ask you – Which one of your family members will you turn to in times of difficulties? The one who has been most faithful to your ideals. The one you can run to, lean on, cry on their shoulder. Question: If God was as faithful to you as you are to Him, where would you be today? Growing up, I learned in English classes the difference between the words CAN and MAY. Repeatedly, I heard “You can if you are able.” The next time you go through a drive through to order something, note how many people on the other end of the microphone ask, “Can I help you?” That obviously tells you they did not grasp the correct grammar in English class or the teacher did not teach them properly. I can because I am able. THROUGH CHRIST, I AM MORE THAN ABLE. Not in my own strength, not in my own power, but through the power of Christ Jesus, my Lord, who dwells within. “I May” gives the impression that you may not be able. There is a doubt in your mind that you may not be able because you are too weak, you will change your mind, you question your ability to follow through. I WILL IS THE NEXT STEP AFTER WE KNOW WE CAN. Over and over in the Psalms we see the statement I WILL. It was I who determined that I WOULD do these things. It was I who put the plan in motion. It was Daniel who made up his mind and determined within himself that he would be who God had called him to be. Psalm 145:1 – I will extol You my God, O King; and I will bless Your name forever and ever. Psalm 145:5 – I will meditate on the glorious splendor of Your majesty, and on Your wondrous works. Psalm 138:1-2 – I will praise You with my whole heart; before the gods I will sing praises to You. I will worship toward Your holy temple, and praise Your name for Your loving kindness and Your truth; for You have magnified Your word above all Your name. Psalm 144:9 – I will sing a new song to You, O God; on a harp of ten strings I will sing praises to You. It is I who must go to God when I need help. It is I who must praise God when I want to thank Him. No one else can do it for me. In difficult times, hold up your hands and look at your fingers…There are ten. Ten very positive, practical, personal, powerful words. Action word – I can do…move, talk, look, walk, think, eat and breathe and much more…all these things you and I can do without thinking. How much more do we do with our strength that God has given to us naturally? These are gifts of God. If we look around us there are many who may not be able to talk or walk or even breathe on their own. We are truly blessed. I can do whatever I want to if I put my mind, heart and energy and will power to the task that is before me. Nothing then, can stop me…there are no exceptions…with God’s help I can accomplish more than I can even imagine…but lest I get puffed up in my own strength, I must remember that it is “God who gives me the strength. I can praise God if I want to. I can get out of bed if I want to. I can be a drunk if I want to. I can be a drug addict if I want to. I can help others if I want to. I can live a Christian life if I want to. It’s not me and me alone who is able to do all these things, but it is through the help of the Lord. When my wife had cancer. When you have problems in your marriage. When you have problems with your kids. In all areas of life…it is God who gives me (and you) strength. It is He, Himself, He cares. I Peter 5:7 – casting all your care upon Him, for He cares for you. Jeremiah 33:3 – Call to Me, and I will answer you, and show you great and mighty things, which you do not know. This great God that we serve promises to show us great and mighty things but He wants us to call on Him…He wants us to fellowship with Him. You stay in touch with Him; He will stay in touch with you. You ignore Him…He will not, will NOT ignore you…why? Because He loves you, He gave himself for you. It is through Him by His anointing power that we have our being, our life, or very existence, our breath, that our heart regularly beats. I John 5:14-15 – Now this is the confidence that we have in Him, that if we ask anything according to His will, He hears us. And if we know that He hears us, whatever we ask, we know that we have the petitions that we have asked of Him. The same person as the “I” in the beginning of this verse. I am the recipient of my actions. I am the one who steps out by the faith. God has instilled in my heart and helped me to exercise the faith. John 15:5 – I am the vine, you are the branches. He who abides (lives/dwells) in Me and I in him, bears much fruit; for without Me you can do nothing. There is a distinction of Christ’s coming FOR His saints (1 Thessalonians) and coming WITH His saints (2 Thessalonians). These two books, if studied, will answer many questions. He comes for His Church, the Bride of Christ, to remove us from this sinful world. Following this event will be a time of great distress, in Scripture called the Great Tribulation after which He returns to bring judgment upon all the world. Great Apostasy and departure from the faith. A time of great heaping up of wealth and possessions. Therefore be patient, brethren, until the coming of the Lord. See howthe farmer waits for the precious fruit of the earth, waiting patiently for it until it receives the early and latter rain. You also be patient. Establish your hearts, for the coming of the Lord is at hand. Do not grumble against one another, brethren, lest you be condemned.Behold, the Judge is standing at the door! A time of great missionary activity. Be ready – He’s coming soon! Do not be caught unaware. Israel brought into kingdom age. If we are planning on being a part of the first return of Christ, His return for the Church, then we had better not ignore the admonition of I Thessalonians – Chapter 4. Well, I am up early again today and already on my first cup of coffee – French Vanilla today. Ummm, love it. This week I have gone back to my files and retrieved some notes from a sermon I preached several times while I was a pastor. There are a lot of scriptures accompanying this post and I hope you will read those as well in their entirety, otherwise, you will not get the full meaning of what I am trying to say. So, fasten your seat belts…off we go. Therefore comfort each other and edify one another, just as you also are doing…. BUT: If you want to be a witness, then be a witness whether you are a farmer, a factory worker, a housewife, a professional, a college student. No matter what, BE A WITNESS. be fruitful, bring in a great harvest to the kingdom. lift others up, followers of Christ, and those who do not follow Christ. No wonder Christ’s return is of importance to the Christian faith, as approximately one out of every thirty verses in the Bible mention this teaching. The coming of Christ, as told in the Gospels of Matthew and Luke are not the coming I am speaking of in this post. Christ’s return is mentioned in 318 references in 216 separate chapters. 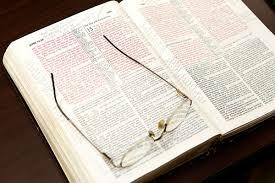 Entire books, for example 1 and 2 Thessalonians are devoted to the subject. Entire chapters, including Matthew 24, Mark 13, Luke 21, are given over to it. Christ’s return is the theme of the Old Testament prophets. The careful reader will quickly note that they sometimes merge Christ’s two comings so that it is not at first apparent that there are two comings of Christ, yet the teaching is there. Jesus bore constant testimony to His coming again. Now Enoch, the seventh from Adam, prophesied about these men also, saying, “Behold, the Lord comes with ten thousands of His saints, to execute judgment on all, to convict all who are ungodly among them of all their ungodly deeds which they have committed in an ungodly way, and of all the harsh things which ungodly sinners have spoken against Him. The church is told to look forward to this great hope that we have in His second coming. His second coming is a teaching from God’s Word that proves to be the greatest incentive to living a consistent Christian life. His second coming is a great comfort to all believers. Some scoffers say it is not going to happen. Why would something so comforting and helpful to the believer be spoken against or seldom, or not at all preached in the pulpit of our churches across the land? There are many reasons some have for believing that lie from Satan. Failure of the churches to teach on this subject. WELL, THAT IS THE FIRST HALF OF THIS POST…MORE TOMORROW. How About Putting Jesus in Our Homes? We see a lot of posts about putting Jesus back in the classroom. If I go up to heaven, you are there; if I go down to the grave, you are there…. The eyes of the LORD are in every place, Watching the evil and the good…. Bu while we complain about God not being in our schools, perhaps we should be more concerned that He is in our homes. If we allow the Bible in the classroom, in this multi-religious society that we live in, we will also have to allow Allah, the Koran, Buddha, hundreds of Hindu deities and all their books, Satanist and the other many cults. To be truthful, I and you neither one want that scenario. We need to take responsibility to teach our children about God at home and know the truth they are receiving. Then we need to pray that God will instill in them the truth of His Word. Finally, we need to trust in God to cause that truth to take root and grow in their lives. The Biblical pattern has always been that the home, the family is to be the one responsible for teaching the children about God. And it is not just in the Old Testament where we are told it is the parents’ role to teach their children about God. Do you really think having a teacher – who may or may not believe in Christ – lead your children in a prayer is going to make them good followers of Christ. Let’s put Jesus in our homes – then He will be with us everywhere we go – school, work, the mall. He does not live in a classroom, He lives in the hearts of those who commit their lives to Him. And NO ONE can keep Jesus out of the schools for those children in whose hearts He resides.